The FiberBasics™ Fiber Added Juices line is a great intervention for constipation. 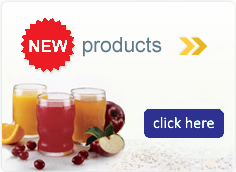 These juices contain 6 grams of soluble fiber in an 8 oz. serving. 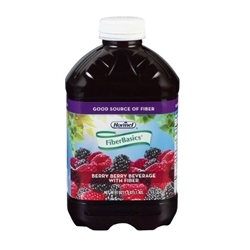 Ingredients: water, high fructose corn syrup, acacia gum (fiber), aronia juice concentrate, raspberry flavor blend (raspberry juice concentrate, water, ethyl alcohol, propylene glycol, invert sugar, blackberry juice concentrate, natural flavor, cranberry juice concentrate, citric acid, tartaric acid, tannic acid), ascorbic acid (Vitamin C), tartaric acid, citric acid. Store at room temperature. Shake well. Serve chilled. Refrigerate container after opening. Store for up to 10 days at 34-40°F.